For over 100 years, Ontario's public hydro system generated reliable electricity and got it to homes and businesses at a rate that people could afford. Today, our public hydro system continues to be a strategic asset that supports healthcare, education, and conservation (to name a few). 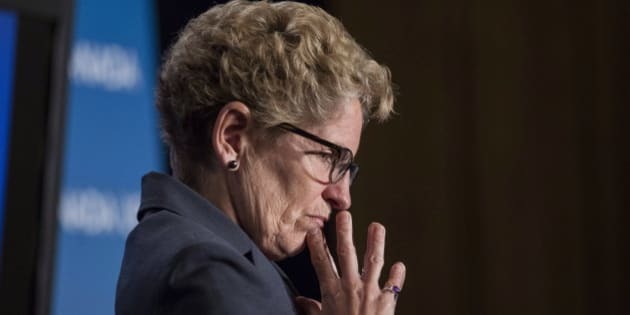 If Kathleen Wynne goes ahead with her plan to privatize Hydro One, all of that could be in jeopardy, leaving Ontarians with higher hydro bills, but not much else. It is too valuable an asset to put on the auction block. I believe that hydro in Ontario should be affordable, reliable and should function as the backbone of our economy. For over 100 years, Ontario's public hydro system generated reliable electricity and got it to homes and businesses at a rate that people could afford. Today, our public hydro system continues to be a strategic asset that supports healthcare, education, and conservation (to name a few). If Kathleen Wynne goes ahead with her plan to privatize Hydro One, all of that could be in jeopardy, leaving Ontarians with higher hydro bills, but not much else. It is too valuable an asset to put on the auction block. I believe that hydro in Ontario should be affordable, reliable and should function as the backbone of our economy. Let's look at the facts: Since Ontario's hydro system was deregulated and significantly privatized starting in the Harris-Eves years, Ontarians have watched hydro rates triple from 4.3 cents per kilowatt hour in 2002 to 14 cents per kilowatt hour today. Now Ontario families and businesses pay the highest hydro bills in Canada, while families and businesses in Manitoba or Quebec, with their public hydro system, pay the lowest hydro bills. Skyrocketing bills mean increasingly tough choices for homeowners; about how to pay the bills at the end of the month, and how to keep the lights on. It means small business people and large employers have to choose between hiring and investing or paying the hydro bills. At the end of the day this government is trying to avoid any kind of accountability. The Bay Street insider they've hired to write their privatization plan isn't accountable to Ontarians. Nobody in Ontario voted for a Hydro sell-off. Kathleen Wynne's Liberals didn't run on that plan. Ontarians haven't had their say. Ontarians haven't had a chance, in an election, to say "yes" or "no." Kathleen Wynne is trying to pull a fast one, and she thinks Ontarians are going to take this sitting down. I for one know for one that they won't. So why is Kathleen Wynne trying to pull a fast one and avoid any responsibility? It's because she knows full well that selling off Hydro One is short-term thinking that's going to leave Ontarians paying more and getting less. There are people who will tell Ontarians that privatization is the solution to everything. They say it creates efficiency and it will mean better service at a lower cost. But you only have to look at your cable or your cell phone bill--services many of us rely on every day--to know that prices from these private companies are only going up. Am I suggesting that Hydro One or your local hydro utility is perfect? Of course not. But they return annual dividends that we can invest in schools, hospitals and infrastructure. According to Hydro One "Throughout 2014, Hydro One delivered value to Ontario through its financial performance; contributing $749 million in net income and $287 million in dividends to our Shareholder the Province of Ontario." That's a reliable, steady stream of public income that we could rely on every year to fund our schools, roads and hospitals-- gone. All for a short-term gain. I believe we need to learn from past successes and failures. That means recognizing that further hydro privatization will drive up energy cost, and instead focus on keeping the public energy we still have, public. It's time to pull the plug on hydro privatization.